The durabilities of textile materials, which during their usages come into direct contact with soil, have traditionally been measured using the soil burial test (BS 6085: 1992). Using the aforementioned standard, coated textile materials are normally buried under standard soil conditions for 28 days, while non-coated textiles for 14 days and the deterioration assessed. The duration of this test is too long and it discourages many business people and manufacturers, to whom urgency is the key and therefore opt to skip this test. This study investigated the effects of different soil treatments on the strengths of canvas materials during the soil burial test. By adding cow manure, chicken manure and potato peelings with the controlled addition of water, the changes were investigated in the strengths of the canvas materials buried in the soils. The results obtained during this research work indicated that the addition of water (in a controlled manner) can lead to a change of 10% to 90% in the strengths of the buried canvas materials, according to the different types of manure. When considering the different types of manures (with water additions) there were strength losses of 70%, 80% and 90% for non-cultivated soil, soil with cow dung, and soil with chicken manure respectively. Similar trends were also recorded for strength losses in the weft direction. A strength reduction factor which considered the reductions in strengths of the canvas materials exposed the different treated soils compared to the non-treated soil (without water), indicating that chicken manure (with the addition of water) can produce a strength reduction factor of 8.32, whilst the non-cultivated soils (with the addition of water) gave a strength reduction factor of 6. ELSHAFEI, Ali and EL-ZANFALY H. T. Application of antimicrobials in the development of textiles. Asian Journal of Applied Science, 2011, 4, 585─595, doi: 10.3923/ajaps.2011.585.595. TOMŠIČ, Brigita, KLEMENČIČ, Danijela, SIMONČIČ, Barbara and OREL, Boris. Influence of antimicrobial finishes on the biodeterioration of cotton and cotton/polyester fabrics: leaching versus bio-barrier formation. Polymer Degradation and Stability, 2011, 96(7), 1286─1296, doi:10.1016/j.polymdegradstab.2011.04.004. BS 6085 Methods for determination of the resistance of textiles to microbiological deterioration. British Standard Institute. London, 1992. ISO 5081 Textiles – Woven fabrics — Determination of breaking strength and elongation (Strip method). International Organisation for Standardization, 1977. Canvas [online], [accessed 11. 3. 2014]. Available on World Wide Web: <http://en.wikipedia.org/wiki/Canvas>. PELCZAR, Micheal Joseph, CHIN SUN CHAN, Eddie and KRIEG, Noel R. Microbiology: Concepts and Applications. 1st. ed. New York : McGraw-Hill, 1993. Manure. [online], [accessed 11. 3. 2014]. Available on World Wide Web: <http://www.wikipedia.com/manure>. CHANDRA, R. and RUSTGI, R. Biodegradable polymers. Progress in Polymer Science, 1998, 23(7), 1273─1335, doi:10.1016/S0079-6700(97)00039-7. COYNE, Mark S. Soil microbiology: An exploratory approach. Albany et al. : Delmar Publishers, 1999. LATTER, P. M., BANCROFT, G and GILLESPIE, J. Technical aspects of the cotton strip assay in soils. International Biodeterioration, 1988, 24(1), 25─47, doi: 10.1016/0265-3036(88)90073-5. Chicken manure. [online], [accessed 11. 3. 2014]. Available on World Wide Web: <http://www.ctahr.hawaii.edu/oc/freepubs/pdf/GHGS-02.pdf>. RUSCHMEYER, O. R. and SCHMIDT, E. L. Cellulose Decomposition in soil burial beds: II. Cellulolytic activity as influenced by alteration of soil properties. Applied Microbiology, 1958, 6(2), 115. CLARKE, Antony J. Biodegradation of cellulose: enzymology and biotechnology. Basel: Technomic Publishing, 1996. The presented research focuses on the development and characterization of film made from lime peel extracts; well-known for its anti-oxidant and antimicrobial properties. The study includes preparation of film using the solution casting technique and characterization tests including IR spectroscopy, X-ray diffraction, and thermal behaviour through differential scanning calorimetry (DSC) and through thermogravimetric analysis (TGA). The film is also analysed for its antibacterial properties. Several functional groups are identified for the different molecules such as cellulose, hemicellulose and lignin, and some polyphenolic compounds such as flavonoids. The film shows excellent antimicrobial properties against E. Coli and S. Aureus strains. The wealth of India: A dictionary of Indian raw materials and industrial products. Revised series. Vol. III (Ca-Ci). New Delhi: Information and Publications Directorate, CSIR, 1992, 3, p. 623. TIAN, Q., MILLER, E. G., AHMAD, H., TANG, L, PATIL, B. S. Differential inhibition of human cancer cell proliferation by citrus limonoids. Nutrition and Cancer, 2001, 40(2), 180‒184, doi: 1207/S15327914NC402_15. HASEGAWA, S., BERHOW, Miyake, A., FONG, C. H. Analysis of bitter principles in Modern methods of plant analysis. Fruit Analysis. Berlin, Heidelberg: Springer-Verlag, 1996. POULOSE Shibu M., HARRIS, E. D., PATIL, B. S. Antiproliferative effects of citrus limonoids against human neuroblastoma and colonic adenocarcinoma cells. Nutrition and Cancer, 2006, 56(1), 103‒112, doi: 1207/s15327914nc5601_14. VANAMALA, Jairam, LEONARDI, Tety, PATIL, Bhimanagouda S., TADDEO, Stella S., MURPHY, Mary E., PIKE, Leonard M., CHAPKIN, Robert S., LUPTON, Joanne R., TURNER, Nancy D. Suppression of colon carcinogenesis by bioactive compounds in grapefruit. Carcinogenesis, 2006, 27(6), 1257‒1265, doi: 1093/carcin/bgi318. HAAZ, S., FONTAINE, K. R., CUTTER, G., LIMDI, N., PERUMEAN-CHANEY, S., ALLISON, D. B. Citrus aurantium and synephrine alkaloids in the treatment of overweight and obesity: an update. Obesity Reviews, 2006, 7(1), 79‒88, doi: 1111/j.1467-789X.2006.00195.x. JAYAPRAKASHA, G. K., MANDADI, K. K., POULOSE, S. M., JADEGOUD, Y., NAGANA GOWDA, G. A., PATIL, B. S. Novel triterpenoid from Citrus aurantium possesses chemopreventive properties against human colon cancer cells. Bioorganic & Medicinal Chemistry, 2008, 16(11), 5939‒5951, doi: 10.1016/j.bmc.2007.04.044. GIRENNAVAR, Basavaraj, JAYAPRAKASHA, G. K., JADEGOUD, Y., NAGANA GOWDA, G. A., PATIL, Bhimanagouda. S. Radical scavenging and cytochrome P450 3A4 inhibitory activity of bergaptol and geranylcoumarin from grapefruit. Bioorganic and Medicinal Chemistry, 2007, 15(11), 3684‒3691, doi: 1016/j.bmc.2007.03.047. JAYAPRAKASHA, G. K., MANDADI, K. K., POULOSE, Shibu M., JADEGOUD, Y., NAGANA GOWDA, G. A. and PATIL, Bhimanagouda S. Inhibition of colon cancer cell growth and antioxidant activity of bioactive compounds from Poncirus trifoliate (L.) Raf. Bioorganic and Medicinal Chemistry, 2007, 15(14), 4923‒4932, doi:1016/j.bmc.2007.04.044. HALLIWELL, Barry. Role of free radicals in the neurodegenerative diseases. Drugs & Aging, 2001, 18(9), 685‒716, doi: 2165/00002512-200118090-00004. HALLIWELL, Barry, GUTTERIDGE, John M. C. Free radicals in biology and medicine. 2nd Gloucestershire: Claredon Press. 1989. HANASAKI, Yukiko, OGAWA, Shunjiro, FUKUI, Shozo. The correlation between active oxygens scavenging and antioxidative effects of flavonoids. Free Radical Biology and Medicine, 1994, 16(6), 845‒850, doi: 1016/0891-5849(94)90202-x. GARCIA-CASTELLO, E., CHORQUES, S., MAYOR, L., ARGÜELLES, A., GRAS, M. L. D. Food innova, 25‒29 October, 2010, Research Institute of Food Engineering and Development, Polytechnic University of Valencia. BICU, Ioan, MUSTATA, Fanica. Cellulose extraction from orange peel using sulfite digestion reagents. Bioresource Technology, 2011, 102(21), 10013–10019, doi: 1016/j.biortech.2011.08.041. ACKER, Saskia A. B. E. van, BALEN, Georgette Plemper von, BERG, Dirk-Jan van den, BAST, Aalt, VIJGH, Wim J. F. van der, F., W. J. Influence of iron chelation on the antioxidant activity of flavonoids. Biochemical Pharmacology, 1998, 56(8), 935‒943, doi: 1016/s0006-2952(98)00102-6. GB15979- Hygienic standard for disposable sanitary products. Chinese Standrards (GB), 2002. ZAPATA, B., BALMASEDA, J., FREGOSO-ISRAEL, E., TORRES-GARCÍA, E. Thermo-kinetics study of orange peel in air. Journal of Thermal Analysis and Calorimetry, 2009, 98(1), 309–315, doi: 1007/s10973-009-0146-9. BRIGGS, L. H., COLEBROOK, L. D. Infra-red spectra of flavanones and flavones. Carbonyl and hydroxyl stretching and CH out-of-plane bending absorption. Spectrochimica Acta, 1962, 18, 939, doi: 1016/0371-1951(62)80101-5. SHAW, B. L., SIMPSON, T. H. Chelate systems. Part III. Infrared spectra of flavanones and flavones. Journal of American Chemical Society, 1955, resumed on page 655, doi: 1039/JR9550000655. BICU, Ioan, MUSTATA, Fanica. Cellulose extraction from orange peel using sulfite digestion reagents. Bioresourse Technology, 2011, 102, 10013‒10019, doi: 1016/j.biortech.2011.08.041. MAFRA, M. R, IGARASHI-MAFRA, L, ZUIM, D. R, VASQUES, É. C., FERREIRA, M. A. Adsorption of remazol brilliant blue on an orange peel adsorbent. Brazilian Journal of Chemical Engineering, 2013, 30(3), 657–665, doi: 1590/s0104-66322013000300022. HE, Jianxin, TANG, Yuyuan, WANG, Shan-Yuan. differences in morphological characteristics of bamboo fibres and other natural cellulose fibres: Studies on X-ray diffraction, solid state 13C-CP/MAS NMR, and second derivative FTIR spectroscopy data. Iranian Polymer Journal, 2007, 12(12), 807‒818. SEGAL, L., CREELY, J. J., MARTIN, A. E., CONRAD, C. M. An empirical method for estimating the degree of crystallinity of native cellulose using the X-ray diffractometer. Textile Research Journal, 1959, 29(10), 786–794, doi: 1177/004051755902901003. REDDY, Narendra, YANG, Yiqi. Properties of natural cellulose fibers from hop stems. Carbohydrate Polymers, 2009, 77(4), 898–902, doi: 1016/j.carbpol.2009.03.013. LIU, Zhao-Tie, YANG, Yani, ZHANG, Lili, LIU, Zhong-Wen, XIONG, Heping. Study on the cationic modification and dyeing of ramie fiber. Cellulose 2007, 14(4), 337–45, doi: 1007/s10570-007-9117-0. KECHAOU, B, SALVIA, M, BEAUGIRAUD, B, JUVE, D, FAKHFAKH, Z., TREHEUX, D. Mechanical and dielectric characterization of hemp fibre reinforced polypropylene (HFRPP) by dry impregnation process. eXPRESS Polym Letters, 2010, 4(3),171–182, doi: 3144/expresspolymlett.2010.22. SEKI, Yoldas, SARIKANAT, Mehmet, SEVER, Kutlay, DURMUŞKAHYA, Cenk. Extraction and properties of Ferula communis (chakshir) fibers as novel reinforcement for composites materials, Composites Part B: Engineering, 2013, 44(1), 517–523, doi: 1016/j.compositesb.2012.03.013. OROZCO, Raymundo Sánchez, HERNÁNDEZ, Patricia Balderas, RAMÍREZ, Nelly Flores, MORALES, Gabriela Roa, LUNA, Jaime Saucedo, Agustín MONTOYA, Jaime Castro. Gamma irradiation induced degradation of orange peels. Energies, 2012, 5(8), 3051‒3063, doi: 3390/en5083051. SEVERIANO, Lucio C, LAHR, Francisco A. R., BARDI, Marcelo A. G.; SANTOS, Alex C, MACHADO, Luci D. B. Influence of gamma radiation on properties of common Brazilian wood species used in artwork. Progress in Nuclear Energy, 2010, 52(8), 730–734, doi: 1016/j.pnucene.2010.04.008. AGUIAR, L., MÁRQUEZ-MONTESINOS, F., GONZALO, A., SÁNCHEZ, J. L, ARAUZO, J. L. Influence of temperature and particle size on the fixed bed pyrolysis of orange peel residues. Journal of Analytical and Applied Pyrolysis, 2008, 83(1), 124‒130, doi: 1016/j.jaap.2008.06.009. The purpose of this study was to examine how primary school children who had already finished learning about textile topics during Home economics instruction perceived the content of the textile module.Some topics which can be connected with development of sustainable thinking and prudent consumer behaviour were also researched. A total of 106 surveys were collected. The pupils were on average 10.5 years old. The results showed that the pupils were reasonably interested in handicrafts. Most respondents agreed that masteringskillssuch assewing orknitting isgood because these activities allow pupils tosavemoney and also to express their creativities. The results showed that the transfer of theoretical knowledge in practice is not optimal. Some improvements in the curriculum should be considered in terms of refreshing/updating the textile topicsand also the time duration of the textile module. HEIMDAL, Elisabeth Jacobsen. Interactive inspirational tool for responsive textiles : master’s thesis. Lyngby: Technical University of Denmark, Department of Management Engineering, 2009. TODOROVIĆ, Tijana, TOPORIŠIČ, Tomaž, PAVKO ČUDEN, Alenka. Clothes and costumes as form of nonverbal communication. 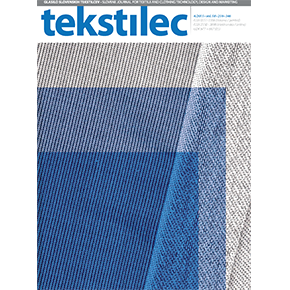 Tekstilec, 2014, 57(4), 321−333, doi: 14502/Tekstilec2014.57.321–333. EUN-YOUNG, Rhee. Clothing and textiles education in South Korea: Perspectives for the knowledge-based information society. Clothing and Textiles Research Journal, 2008, 26(2), 191−200, doi: 1177/0887302X08315178. MARTIN, A. Craig, BUSH, J. Alan. Do role model influence teenagers’ purchase intention and behaviour. Journal of Consumers Marketing, 2000, 17(5), 441−453, doi: 1108/07363760010341081. POULTER, Sean. The primark effect: throwaway fashion that cannot be recycled now make up 30 percent of the waste in council tips. Daily Mail, 2008, 25 [online] [accessed 15. 3. 2015]. Available on World Wide Web: <http://www.dailymail.co.uk/news/article-1089094/The-Primark-effect-Throwaway-fashion-recycled-makes-30-cent-waste-council-tips.html>. Textile recycling information sheet. Waste online [online] [accessed 15. 3. 2015]. Available on World Wide Web: <http://www.wasteonline.org.uk/>. MORGAN, R. Louise, BIRTWISTLE, Grete. An investigation of young fashion consumers’ disposal habits. International Journal of Consumer Studies, 2009, 33(2), 190−198, doi: 1111/j.1470-6431.2009.00756.x. BUTLER, Sara M., FRANCIS, Sally. The effect of environmental attitudes on apparel purchasing behaviour. Cloathing and Textile Reserach Journal, 1997, 15(2), 76−85, doi: 1177/0887302X9701500202. VERMEIR, Iris, VERBEKE, Wim. Sustainable food consumption among young adults in Belgium: Theory of planned behaviour and the role of confidence and values. Ecological Economics, 2008, 64(3), 542−553, doi: 1016/j.ecolecon.2007.03.007. ELLEN SHOLDER, Ellen, WIENER, Joshua Lyle, COBB-WALGREN, Cathy. The role of perceived consumer effectiveness in motivating environmentally conscious behaviors. Journal of Public Policy & Marketing, 1991, 10(2), 102−117. KANG, Jiyun, CHUANLAN, Liu, SANG-HOON, Kim. Environmentally sustainable textile and apparel consumption: the role of consumer knowledge, percived consumer effectivness and percived personal relevance. International Journal of Consumer studies, 2013, 37, 442−452, doi: 1111/ijcs.12013. LAITALA, Kirsi. Consumers’ clothing disposal behaviour ‒ a synthesis of research results. International Journal of Consumer Studies, 2014, 38(5), 444−457, doi: 1111/ijcs.12088. FORTE TAVČER, Petra. Zbiranje potrošniških tekstilnih odpadkov v zbirnih centrih po Sloveniji. Tekstilec, 2013, 57(1), 43−61. UČNI NAČRT. Program osnovna šola. Gospodinjstvo. Ljubljana : Ministrstvo za šolstvo in šport : Zavod RS za šolstvo, 2011. PEČJAK, Vid. Misliti, delati, živeti ustvarjalno. Ljubljana : DZS, 1987, 301. WOOLFOLK, Anita. Pedagoška psihologija. Ljubljana: Educy, 2002, 610. KOLB, A. David. Experiential learning: Experience as the source of learning and development. New Jersey: Prentice-Hall, 1984. PERUZZA, Nadia, KINSELLA, Elisabeth Anne. Creative arts occupations in therapeutic practice: a review of the literature. British Journal of Occupational Therapy, 2010, 73(6), 261−268, doi: 4276/030802210X12759925468943. RILLEY, Jill, CORKHILL, Betsan, MORRIS, Clare. The benefits of knitting for personal and social wellbeing in adulthood: Finding from an international survey. British Journal of Occupational Therapy, 2013, 76(2), 50−57. PHILIPPE, Aurier, NGOBO, Paul-Valentin. Assesment of consumer knowledge and its consequences: a multi-component approach. Advances in Consumer Research, 1999, 26, 569−575. BATOR, J. Renee, CIALDINI, B. Robert. The application of persuasion theroy to the development of effective proenvironmental public service announcements. Journal of Social Issues, 2000, 56(3), 527−541, doi: 1111/0022-4537.00182. SCHOR, B. Juliet. Born to buy: the commercilized child and the new consumer colture. New York : Scribner, 2004, 712−728. Competing in the market means constant development throughout all areas, also in information about business processes, the development of which has significantly increased over last sixty years. Results of a research dealt with how the Slovenian textile, clothing and leather production (TOUP) industries have followed this development are presented in the article. The research was further directed towards a new age state. Based on the data collected from the literature, eight hypotheses were set up, which were examined through interviews and questionnaires. 111 (25.5 percent) companies responded to the study. The results were analysed separately for large, medium, small-sized and micro companies, as the preliminary research showed that their views (and actual states) regarding business information systems are quite different, so any generalisation of the results wouldn’t provide realistic treatment of the set hypotheses. Among the gathered data appropriate correlation was searched for using the Pearson χ2-test. All large and medium-sized TOUP companies are equipped with information systems and 80 percent of small-sized and 26.3 percent of micro companies. More than half of the companies (64.4 percent) prefer the information systems of domestic suppliers. Only 20 percent of large-sized companies and a smaller percentage of micro companies have developed their own business information systems. Medium-sized companies use purchased/licensed systems. Less than half of the large and medium-sized companies use two or more interconnected information systems at the same time. Business information systems support economic and commercial functions in 60.4 percent of companies, while in the other companies the production, controlling, CRM, investing etc. functions are also present. Business information systems in cloud are present in less than 15 percent of Slovenian TOUP companies. The business information systems in large and medium-sized companies are eight years old on average. During last year (2014), 40 percent of companies upgraded their business information systems. Investments into systems are small with the exceptions of some large-sized companies, where investments are reasonably bigger because of the systems’ complexities. Nekaj misli o računalnikih. Tekstilni obveščevalec, 1969, 12(2), 6−9. SAVNIK, Viktor. Uporaba computorjev v konfekcijskih obratih. Tekstilni obveščevalec, 1969, 12(7), 1−4. JEROVEC, Leon. Elektronska obdelava podatkov v sodobnem podjetju. Tekstilni obveščevalec, 1970, 13(5), 3−6. SAVNIK, Viktor. Elektronska obdelava podatkov v pletilskih in konfekcijskih obratih, Tekstilni obveščevalec, 1970, 13(6), 10−16. STUPICA, Igor, ŽIBERNA, Vanja. Avtomatska obdelava podatkov kot sredstvo avtomatizacije in racionalizacije proizvodnje v tekstilni industriji. Tekstilec, 1974, 17(12), 17−21. HLEB, Marta. Stanje računalniške informatike v tekstilni industriji. Tekstilec, 1983, 26(12), 11−14. STUPICA, Igor, ŽIBERNA, Vanja. Avtomatizacija in racionalizacija v tekstilni industriji s pomočjo elektronskega računalnika. Tekstilec, 1975, 18(9), 3−8. JEROVEC, Leon. Pomen elektronskih računalnikov za vodenje podjetja (nadaljevanje in konec). Tekstilec, 1973, 16(6), 17−26. JEROVEC, Leon. Pomen elektronskih računalnikov za vodenje podjetja. Tekstilec, 1973, 16(2), 15−21. JEROVEC, Leon. Pomen elektronskih računalnikov za vodenje podjetja (nadaljevanje). Tekstilec, 1973, 16(3−4), 23−29. JEROVEC, Leon. Marketing in elektronska obdelava podatkov. Tekstilec, 1974, 17(10−11), 13−18. GRADIŠAR, Miro, RESINOVIČ, Gortan. Informatika v organizaciji. Kranj : Moderna organizacija, 2000, 1−472. ČERIČ, Franc. Procesni računalnik za nadzor proizvodnje. Tekstilec, 1976, 19(2−3), 17−19. ŽIŽEK, Franc. Zasledovanje in obračun proizvodnje s pomočjo računalnika. Tekstilec, 1983, 26(12), 15−16. VENCHIARUTTI, Valentino. Uvajanje računalniške informatike v procesno in proizvodno kontrolo v predilnicah. Tekstilec, 1983, 28(9), 313−315. ŽIVEC, Zoran, STJEPANOVIĆ, Zoran. 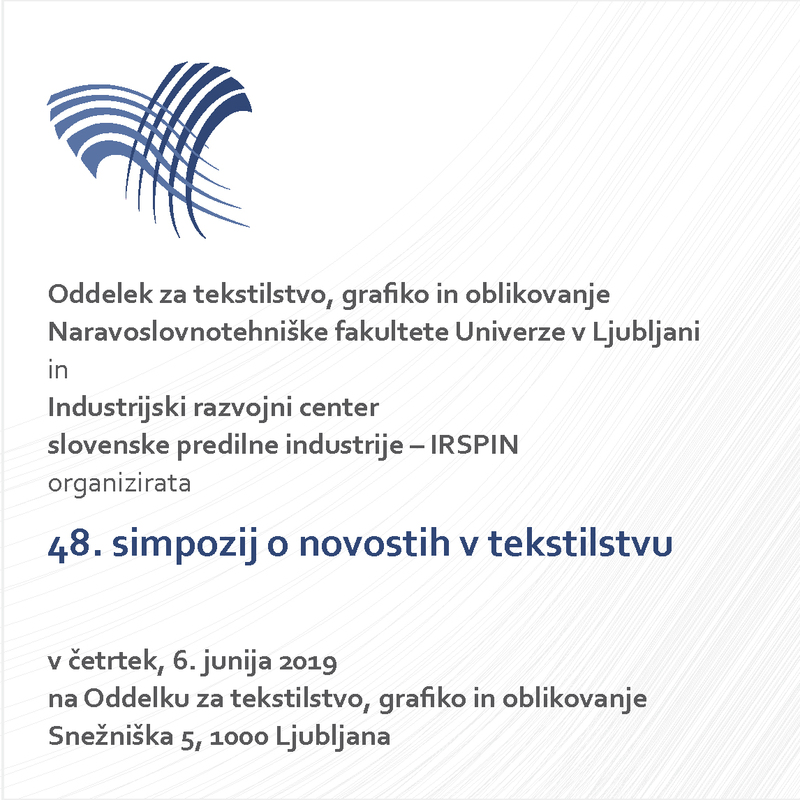 Stanje računalniške strojne in programske opreme v slovenski tekstilni industriji. Tekstilec, 1986, 29(3), 94−100. ČAMPA, Janez. Računalnik – veliko pričakovanje. Rašica, glasilo kolektiva tovarne Pletenin Rašica Ljubljana, 1987, 24 (1−2), 4−5. PERKO, Leo. Možnosti za širšo uporabo sodobne informacijske tehnologije. Tekstilec, 1985, 28(10), 335−340. STJEPANOVIĆ, Zoran, GOLOB, Darko. ITMA 87 – Procesno računalništvo v predilstvu in tkalstvu. Tekstilec, 1988, 31(1−2), 69−73. STJEPANOVIĆ, Zoran. Opremljenost slovenske tekstilne in konfekcijske industrije z računalniško aparaturno in programsko opremo. Tekstilec, 1988, 31(3), 79−89. ČULAHOVIĆ, Besim. Sodobne metode in tehnike upravljanja poslovnih procesov v tekstilni in oblačilni industriji. Tekstilec, 1990, 33(4), 130−129. ROZMAN, Ivan, HERIČKO, Marjan, LAH, Ivan, GYÖRKÖS, József. Računalniško podprto oblikovanje tehnološke dokumentacije za proizvodnjo tkanin. Tekstilec, 1995, 38(9), 248−254. SRAKA, Robert. Poslovni informacijski sistemi. MonitorPro, 2011, 43−46. ODER, Nikolaj. 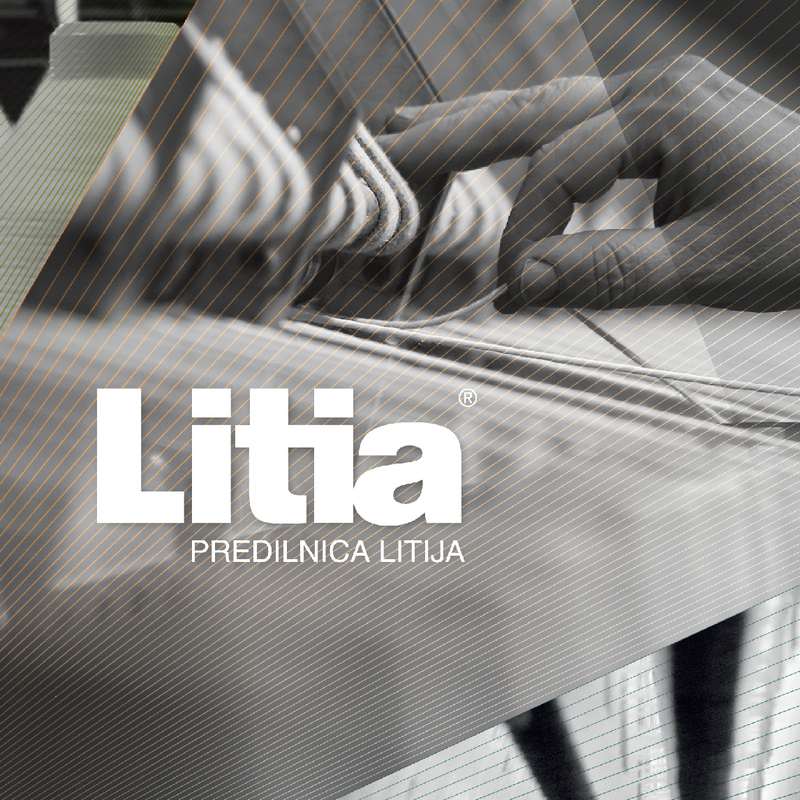 Metodologija za izbiro informacijskega sistema : magistrsko delo. Celje, 2008, 42−71. TRENTELJ, Tatjana. Sodelavci iz oddelka AOP, ki skrbijo za razvoj in nemoteno delovanje informacijskega sistema. Litijski predilec, 2013, 12(3), 8−9. VAGAJA, Aleksandra. Uspešnim podjetjem je urejena logistika pomembna [dostopno na daljavo], avtoFinance [citirano 12. 11. 2014]. Dostopno na svetovnem spletu: <http://www.gvin.com/einform_guideline_directives_article_news/Default.aspx?Page=Izpis&ID=366>. ŽVIKART, Monika. Slovenjegraški Prevent je tretji največji slovenski izvoznik [dostopno na daljavo], eINFOrmator [citirano 12. 11. 2014]. Dostopno na svetovnem spletu: <http://www.finance.si/4866/Slovenjegra%C5%A1ki-Prevent-je-tretji-najve%C4%8Dji-slovenski-izvoznik>. ČEPIN VRČKOVNIK, Barbara, URBANC, Matej. Konsolidacija zbirk podatkov o strankah in povezava z rešitvijo ERP za oblikovanje celovitega pogleda na stranko [dostopno na daljavo], Microsoft Dynamics Slovenija [citirano 12. 11. 2014]. Dostopno na svetovnem spletu: <http://blogs.technet.com/b/microsoft_dynamics_slovenija/>. MIHELIČ, Niko, VALENTINČIČ, Zoran. Računalniško podprta proizvodnja v podjetju Svilanit Kamnik. Tekstilec, 2001, 44(9−10), 280−288. ZUPAN, Gregor. Najem storitev računalništva v oblaku v podjetjih, Slovenija, 2014 – končni podatki [dostopno na daljavo], Statistični urad RS [citirano 22. 07. 2015]. Dostopno na svetovnem spletu: <http://www.stat.si/StatWeb/glavnanavigacija/podatki/prikazistaronovico?IdNovice=6561>. GROBELŠEK, Matic. Kako izbrati pravi ERP? Gospodarski vestnik, 2002, 41, 80−83. Zakon o gospodarskih družbah (ZGD-1). Uradni list RS, 2006, 42, 4405−4498. AHLIN, Tomaž, ZUPANČIČ, Jože. Uvajanje celovitih programskih paketov. Organizacija, 2001, 34(5), 283−289. ZUPAN, Gregor. 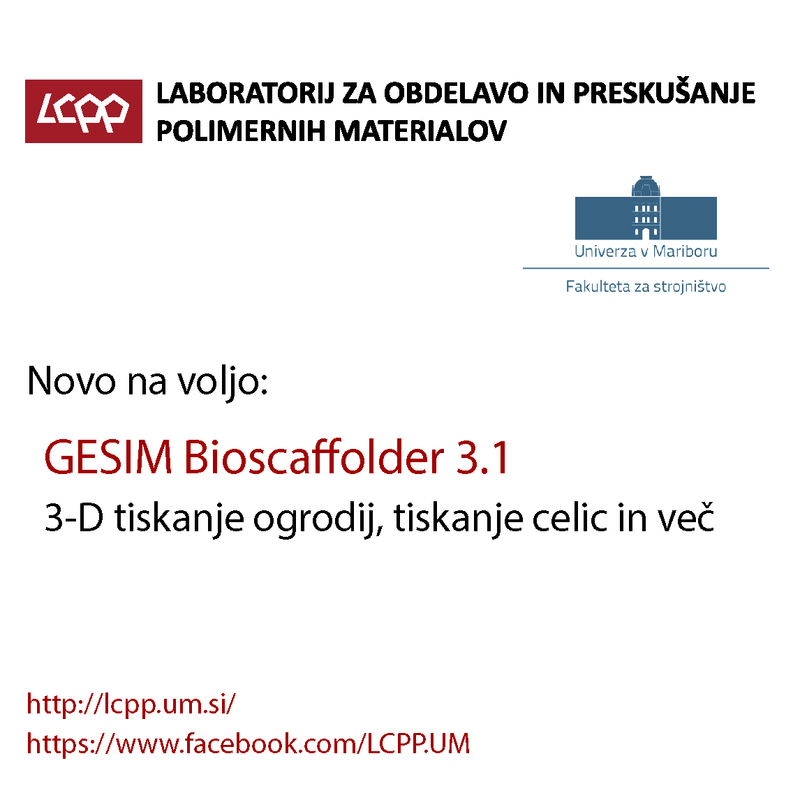 Vpliv uporabe informacijsko-komunikacijske tehnologije na poslovanje podjetij. Uporabniška informatika., 2014, 22(2), 116−121. HOLEY, Seveda se zmotim, a ne prav pogosto. Finance. Oglasna priloga, 23 januar 2014, 16, 20−21. Poslovanje podjetij po dejavnosti (SKD 2008), Slovenija, letno [dostopno na daljavo], Statistični urad RS [citirano 22. 07. 2015]. Dostopno na svetovnem spletu: <http://pxweb.stat.si/pxweb/Dialog/varval.asp?ma=1450403S&ti=&path=../Database/Ekonomsko/14_poslovni_subjekti/02_14157_SSP/01_14504_letna/&lang=2>. SHESKIN, David. J. Handbook of Parametric and Nonparametric Statistical Procedures. Third Edition. CRC Press, 2004, 881−898. Bruto investicije v nova in rabljena osnovna sredstva po tehnični strukturi in dejavnosti investitorja, originalni podatki v SIT in informativni preračuni v evre, Slovenija, 1996-2003 [dostopno na daljavo], Statistični urad RS [citirano 29. 07. 2015]. 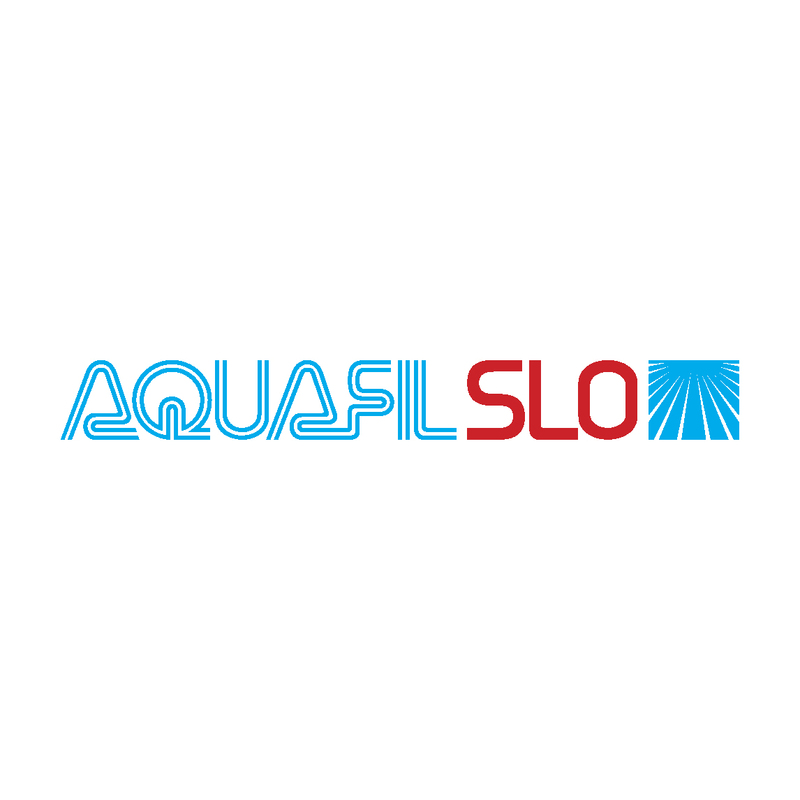 Dostopno na svetovnem spletu: <http://pxweb.stat.si/pxweb/Dialog/varval.asp?ma=1409001S_EUR&ti=&path=../Database/EUR/14/04_14090_investicije/&lang=2>. Bruto investicije v nova in rabljena osnovna sredstva po tehnični strukturi in dejavnosti investitorja, originalni podatki v SIT in informativni preračuni v evre, Slovenija, letno [dostopno na daljavo], Statistični urad RS [citirano 29. 07. 2015]. Dostopno na svetovnem spletu: <http://pxweb.stat.si/pxweb/Dialog/varval.asp?ma=1409006S_EUR&ti=&path=../Database/EUR/14/04_14090_investicije/&lang=2>. Investicije v osnovna sredstva po tehnični strukturi in dejavnosti investitorja – SKD 2008 (v 1000 EUR), Slovenija, letno [dostopno na daljavo], Statistični urad RS [citirano 29. 07. 2015]. Dostopno na svetovnem spletu: <http://pxweb.stat.si/pxweb/Dialog/varval.asp?ma=1409006S&ti=&path=../Database/Ekonomsko/14_poslovni_subjekti/04_14090_investicije/&lang=2http://pxweb.stat.si/pxweb/Dialog/varval.asp?ma=1409006S&ti=&path=../Database/Ekonomsko/14_poslovni_subjekti/04_14090_investicije/&lang=2>. The modes of actions of different surfactants during reactive wool dyeing using C.I. Reactive Red 120 was investigated at pH 3 and temperatures between 50 and 90°C. The studied surfactants included the following: the anionic surfactant sodium dodecylsulphate (SDS); the cationic surfactant n-dodecyltrimethylammonium bromide (DTAB); the nonionic surfactants Brij C10, Brij S10, Brij L23, Brij 58, Brij S20 and Brij S100; and the commercially available amphoteric product Albegal B. Compared with surfactant-free dyeing, SDS and Brij S100 slightly decreased the dye exhaustion after 360 minutes of dyeing, whereas the other studied surfactants significantly increased the dye exhaustion. The enhanced dye uptake was attributed to the adsorptions of the surfactants to the wool fibres, which increased the cationic characteristics and the hydrophilicity of the fibre surface. The surfactants facilitate dye fixation up to a dyeing temperature of 80°C and decrease it at 90°C. The surfactants increased the K/S values and changed the CIELAB values of the dyeing. Albegal B exhibited the strongest effect. Wool Dyeing. Edited by David M. Lewis. Bradford : Society of Dyers and Colourists, 1992, 372. Colorants and auxiliaries: Organic chemistry and application properties, Volume 2- Auxiliaries. Edited by John Shore. Bradford : Society of Dyers and Colourists, 1990, 372. ASPLAND, J. Richard. Textile Dyeing and Coloration. New York : American Association of Textile Chemists and Colorists, 1997, 410. BURKINSHAW, Stephen M. Application of Dyes. V The Chemistry and Application of Dyes. Edited by D. R. Waring and G. Hallas. New York : Plenum press, 1990, 244–277. BÜHLER, A., CASTY R. Hochechte Reactivfarbstoffe für Wolle. Melliand Textilber, 1976, 6, 693–696. CEGARRA, J., RIVA, A., AIZPURUA, L. The action of Albegal B on the dyeing of wool with α- Bromoacrylamide reactive des. Journal of the Society of Dyers and Colourists, 1978, 94(9), 394–401, doi: 10.1111/j.1478-4408.1978.tb03425.x. LEWIS, D. M. The Dyeing of wool with reactive dyes. Journal of the Society of Dyers and Colourists, 1982, 98(5−6), 165–175, doi: 10.1111/j.1478-4408.1982.tb03631.x. HANNEMANN, Klaus. Mechanistic investigations on the action of levelling agents in reactive wool dyeing. Journal of the Society of Dyers and Colourists, 1992, 108(4), 200–202, doi: 10.1111/j.1478-4408.1992.tb01440.x. JOCIĆ, D., JULIA, M. R., ERRA, P. Application of chitosan/nonionic surfactant mixture to wool assessed by dyeing with a reactive dye. Journal of the Society of Dyers and Colourists, 1997, 113(1), 25–31, doi: 10.1111/j.1478-4408.1997.tb01842.x. YEN, Ming-Shien. Application of chitosan/nonionic surfactant mixture in reactive dyes for dyeing wool fabrics. Journal of Applied Polymer Science, 2001, 80(14), 2859–2864, doi: 10.1002/app.1403. CHO, Ho Jung, LEWIS, David, M. Reactive dyeing systems for wool fibres based on hetero-bifunctional reactive dyes. Part 1: Application of commercial reactive dyes. Coloration Technology, 2002, 118(4), 198–204, doi: 10.1111/j.1478-4408.2002.tb00100.x. CHO, Ho Jung, LEWIS, David, M. Reactive dyeing systems for wool fibres based on hetero-bifunctional reactive dyes. Part 2: Investigation of dyeing properties during the dyeing cycle. Coloration Technology, 2002, 118(5), 220–225, doi: 10.1111/j.1478-4408.2002.tb00103.x. RIVA, A., CEGARRA, J. The influence of amphoteric products on the affinity of wool for acid dyes. Journal of the Society of Dyers and Colourists, 1987, 103(1), 32–37, doi: 10.1111/j.1478-4408.1987.tb01083.x. RIVA, A., CEGARRA, J., PRIETO, R. Sorption of nonionic auxiliary products by wool and its influence on dyeing with acid dyes. Journal of the Society of Dyers and Colourists, 1996, 112(4), 114–116, doi: 10.1111/j.1478-4408.1996.tb01797.x. BROOKS, John H. The mode of action of levelling agents in the dyeing of wool. Journal of the Society of Dyers and Colourists, 1974, 90(5), 158–163, doi: 10.1111/j.1478-4408.1974.tb03195.x. NAEBE, Maryam, COOKSON, Peter G., RIPPON, John A., WANG, Xungai G. Effects of leveling agent on the uptake of reactive dyes by untreated and plasma-treated wool. Textile Research Journal, 2010, 80(7), 612–622, doi: 10.1177/0040517509340603. McILVAINE, C. A buffer solution for colorimetric comparison. Journal of Biological Chemistry, 1921, 49(1), 183–186. ROSEN, Milton J. Surfactants and interfacial phenomena. 1. ed. New York : John Wiley & Sons, 1989, 122–125. HAIT, S. M., MOULIK, S. P. Determination of critical micelle concentration (CMC) of nonionic surfactants by donor-acceptor interaction with iodine and correlation of CMC with hydrophile-lipophile balance and other parameters of the surfactants. Journal of Surfactants and Detergents, 2001, 4(3), 303–309, doi: 10.1007/s11743-001-0184-2. SCOTT, Hans. Hydrophile-lipophile balance and cloud points of nonionic surfactants. Journal of Pharmaceutical Sciences, 1969, 58(12), 1443–1449, doi: 10.1002/jps.2600581203. Sigma Aldrich technical data [dostopno na daljavo]. Dostopno na svetovnem spletu: http://www.sigmaaldrich.com. RUSZNÁK, I., FRANKL, J., GOMBKÖTŐ, J. Photoreactivity of wool dyed with reactive dyes. Journal of the Society of Dyers and Colourists, 1985, 101(4), 130–136, doi: 10.1111/j.1478-4408.1985.tb01015.x. CHO, H. J., LEWIS, David M., JIA, B. H. Improved reactive dyeing of wool with novel trifunctional reactive dyes. Coloration Technology, 2007, 123(2), 86–95, doi: 10.1111/j.1478-4408.2007.00067.x. LEWIS, David M. Dyestuff-fibre interactions. Review of Progress in Coloration and Related Topics, 1998, 28(1), 12–17, doi: 10.1111/j.1478-4408.1998.tb00114.x. CESTARI, Antonio R., VIEIRA, Eunice F. S., VIEIRA, Gláucia S., ALMEIDA, Luis E. The removal of anionic dyes from aqueous solutions in the presence of anionic surfactant using aminopropylsilica−A kinetic study. Journal of Hazardous Materials, 2006, 138(1), 133–141, doi: 10.1016/j.jhazmat.2006.05.046. DATYNER, Arved. Surfactants in Textile processing. New York : Marcel Dekker Inc., 1983, 85–105. BRAC, N., LAMB, R., PHAM, D., TURNER, P. Nonionic surfactants and the wool fibre surface. Colloids and Surfaces A: Physicochemical and Engineering Aspects, 1999, 146(1−3), 405–415, doi: 10.1016/S0927-7757(98)00863-2. SOCRATES, George. Infrared and Raman Characteristic Group Frequencies: Tables and Charts. 3. ed. Chichester : John Wiley & Sons, 2004, 347. DATYNER, Arved. Interactions between auxiliaries and dyes in the dyebath. Review of Progress in Coloration and Related Topics, 1993, 23(1), 40–50, doi: 10.1111/j.1478-4408.1993.tb00095.x. MUSNICKAS, J., SKULKINA, O., TREIGIENE, R., RAGELIENE, L. Effect of the interaction between acid dye and nonionic surfactants on the adsorption of dye in wool fibre. Fibres & Textiles in Eastern Europe, 2008, 16(5), 117–121.